Notes: All genuine ilootpaperie pins have the "ilootpaperie" back stamp on the back. They are almost always soft enamel. Recently we've released a couple hard enamel variants of selected designs including our Booked for the Weekend. 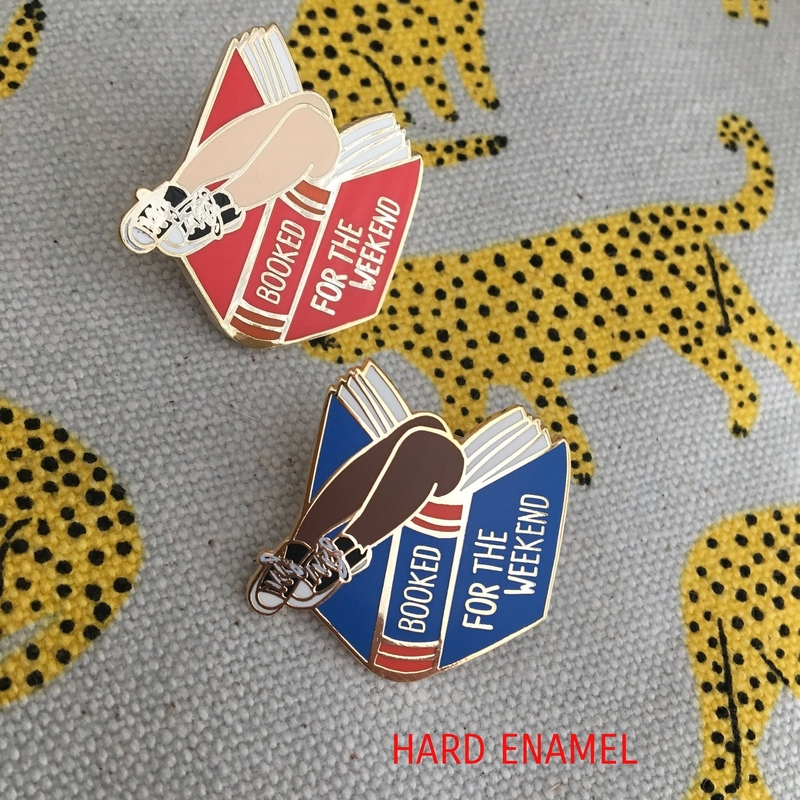 Our Booked For the Weekend pin has clear detailing in the shoe laces of the converse. The counterfeit pin has lost that detailing especially in that area. 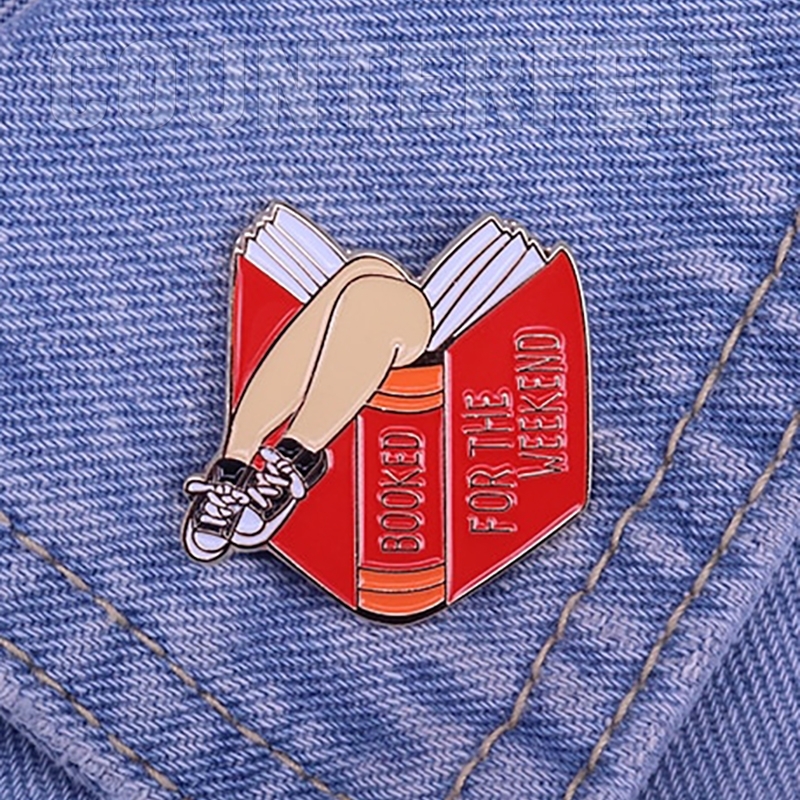 And their pins lack our branded backstamp. All our genuine copyrighted ilootpaperie pins will always come on a branded back stamp "ilootpaperie" or "ILOOTPAPERIE"- the counterfeit pins have a plain back.